Over the last decade, Ireland has established itself as one of the world’s leading locations for business, becoming a centre for excellence in research and development; according to Forbes, Ireland is one of best countries in the world in terms of the ease of doing business. This may go some way to explaining why Ireland is currently the fastest growing economy in the advanced world, according to IDA Ireland. On top of this, Ireland’s idyllic setting also acts as a gateway to the rest of Europe, offering many logistical benefits as a destination for any business. Ireland’s capital city, Dublin, is now home to nine of the world’s top 10 ICT companies, the top 10 ‘born on the internet’ companies, and nine of the top 10 global software companies. Ireland continues to attract investment from some of the world’s largest companies, with Microsoft, Google, Facebook and Airbnb just a few of the names on a growing list. A small and compact city, Dublin’s great transport links mean navigating is easy, and nothing is ever too far away. With Dublin Airport serving over 180 routes, including direct flights to the UK, US, Europe and the Middle East, the Irish capital is highly accessible to all. However, Dublin is more than just a great conference location. With a solid reputation for education and innovation to go along with its great accessibility, it is no coincidence Dublin is now the European headquarters for many of the world’s leading corporations and a hub for academic research and innovation. The city is also steeped in a rich cultural heritage of music, art and theatre, all complemented by a range of restaurants, cafes and shops waiting to be explored. 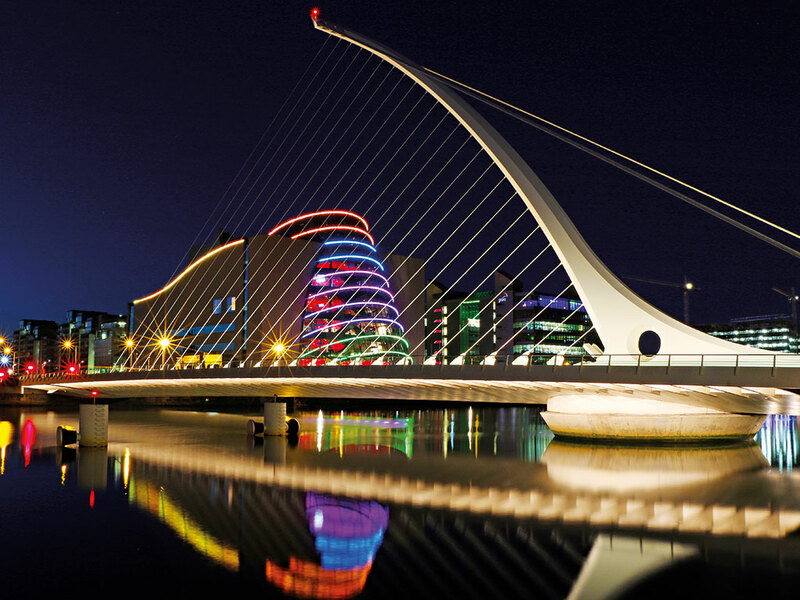 The Convention Centre Dublin (CCD) is located in the heart of the city, just 15 minutes from Dublin Airport. 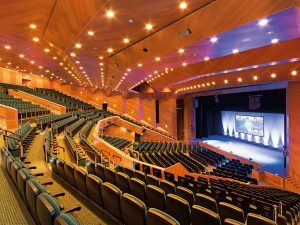 As Ireland’s only purpose-built convention centre with the capacity to host more than 5,000 people, the CCD has become a venue of choice for many global organisations and associations. Its central location provides conference organisers with the choice of over 20,000 competitively priced hotel rooms, all within easy reach. Since opening in September 2010, the CCD has hosted more than 1,350 events, winning 33 industry awards and welcoming a number of high-profile and high-calibre events. It is one of the most technologically sophisticated venues in the world, boasting state-of-the-art equipment in every room, complimentary Wi-Fi throughout, and a range of advanced communications, technology and IT solutions to enhance every event. There is a range of multi-functional rooms available – suitable for events and conferences of all shapes and sizes – including a 2,000 seat auditorium, a 4,500sq m exhibition space and banqueting facilities that can accommodate up to 3,000 guests. Six foyer spaces flood the venue with natural light, offering panoramic views of the city and providing the perfect setting for registration and hospitality. The CCD is not only famed for its iconic building and convenient location, but for its exceptional customer service as well. The venue prides itself on offering first-class service, drawing on its high level of expertise and providing a sense of Irish warmth and hospitality. The CCD allocates a dedicated team to each event, ensuring all levels of service are consistently high and guests are treated to an unrivalled experience.